EVENT DATE: Saturday, April 26, 10:00 a.m.-4:00 p.m. Transition members who are also veterans of the annual Mar Vista Green Garden Showcase will remember gathering in past years at the lovely home of Ginny and her family—where the terraced front yard is an inviting place to take a break and admire the bioswale, an abundance of edible plants, and fruit trees. We’ve always enjoyed a full day of presentations related to local sustainability initiatives like Transition Culver City and Good Karma Gardens. 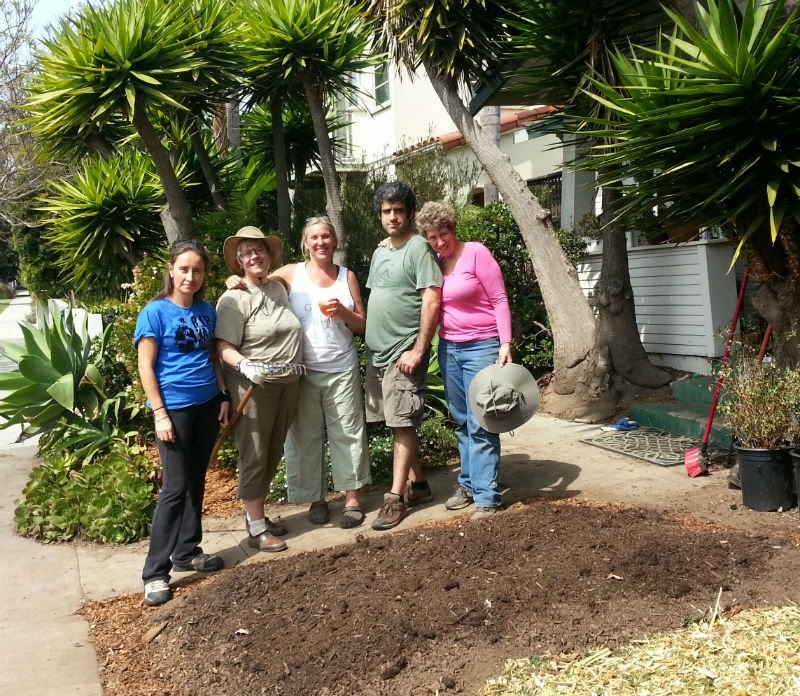 Although the Matteson Ave. residence is on hiatus from the tour in 2014, Transition Mar Vista/Venice will still organize around a hub of meaningful community activity, this time in Venice at our friend Julie’s house. 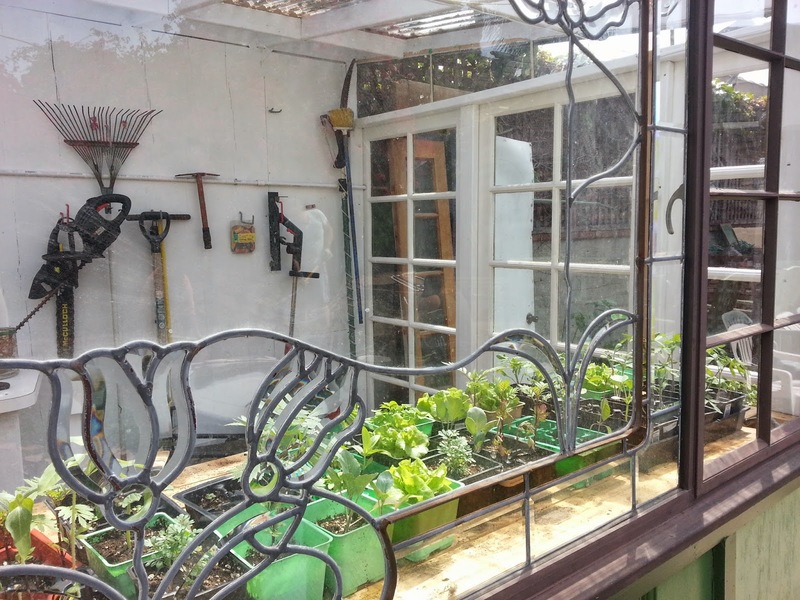 In addition to demonstrating the creative ways you can transform a parkway from turf to something much more interesting, this house boasts a new greywater system, a backyard full of organically grown food, and a whimsical greenhouse made from found doors and windows. Ginny’s house sits right on the border between Mar Vista and Culver City, while Julie’s straddles Mar Vista and Venice. We feel like this coincidence nicely symbolizes the extent to which the Transition movement in our area embraces opportunities to share resources and cross-pollinate ideas. We hope visitors making the rounds on the Showcase will stop by our hub for a day of exciting, informational, and interactive talks, for great community conversation, togetherness, and homemade treats.